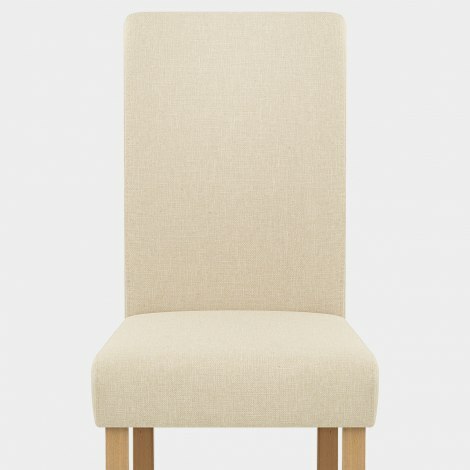 Create a sense of class and comfort in your dining area with the Jackson Dining Chair Cream Fabric. Offering a traditional appearance but maintaining a timeless allure, the Jackson is a fantastic piece of furniture for the dining room, kitchen, and elsewhere. 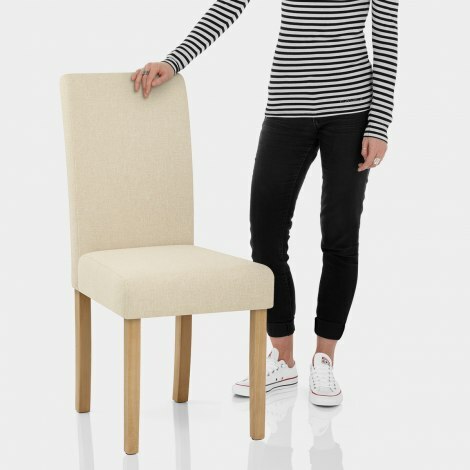 Allowing you to dine in absolute style, the seat is filled with dense foam padding and also includes a tall backrest for excellent support. All of which is covered in a divine cream fabric for a touch of style. The frame is formed of four sturdy solid wooden legs, and each one has a polished oak finish to complement many settings. Finally, protective pads are incorporated underneath the legs to help maintain your floors. "Absolutely delighted with this product"
Absolutely delighted with this product. Delivery time amazing, packaging outstanding and product quality superb for the price. I shall be back! !